NCCSAH offered two programs at the end of September 2017. The morning of Monday, September 25, began with a visit to the Fleishhacker summer estate, Green Gables, in Woodside, designed by Greene and Greene. We are grateful to estate manager, Hilary Grenier, who provided an intimate and detailed experience of this unique property. Carpooling took us a short distance, then, to Filoli, the estate of William Bourn, where we received quite special tours of the house and its gardens. Mondays the property is closed to the general public, and we had the place to ourselves. Our thanks to Jim Salyards, director of horticulture, who gave us an in-depth tour of the gardens, and architect Greg Mellberg, who led us through the house. We extend our gratitude, also, to the National Trust, owner of Filoli, and to the Fleishhacker family for opening their property to us. The program on September 27 was intended to accommodate members unable to participate in the fall 2016 tour because it booked up so quickly. Two highlights of that tour, the Carolands and the Villa Delizia were included. 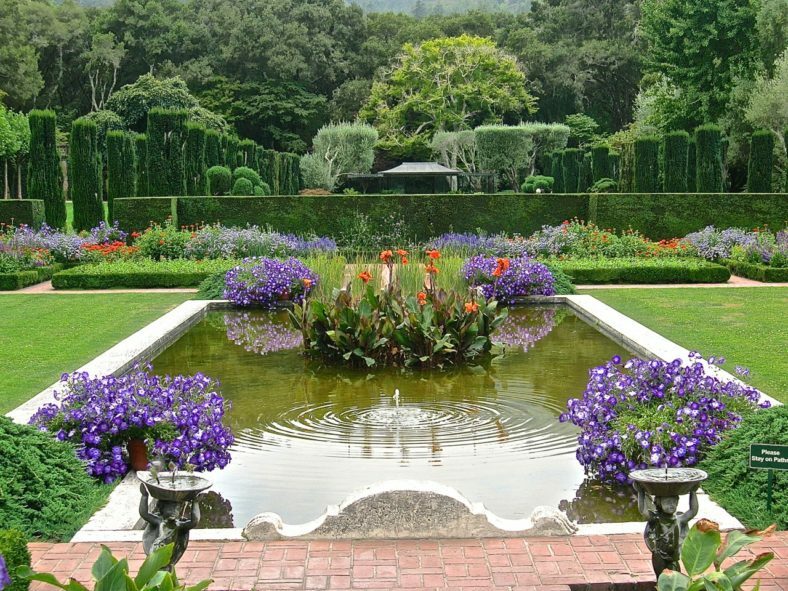 New to the fall program was La Dolphine, designed by Lewis Hobart for George A. Newhall and later acquired by an heir of the Spreckels family. Thank you to the current owners, Barbara Bissell and Lincoln Howell, for giving us a tour of their lovely house and gardens.